jFab Design, LLC is one of the areas premiere installers of eye-catching, state-of-the-art home theaters, media rooms, whole-house audio and video, lighting and automation systems for both residential and commercial applications. We have a team of dedicated professionals who will walk you through your project every step of the way- no matter the size. 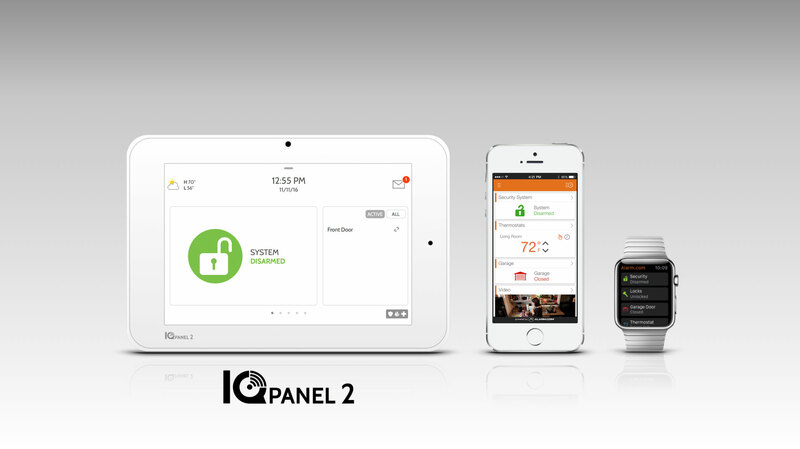 Check out the this awesome security panel from Qolsys! Call today for a free quote. Do You SONOS? 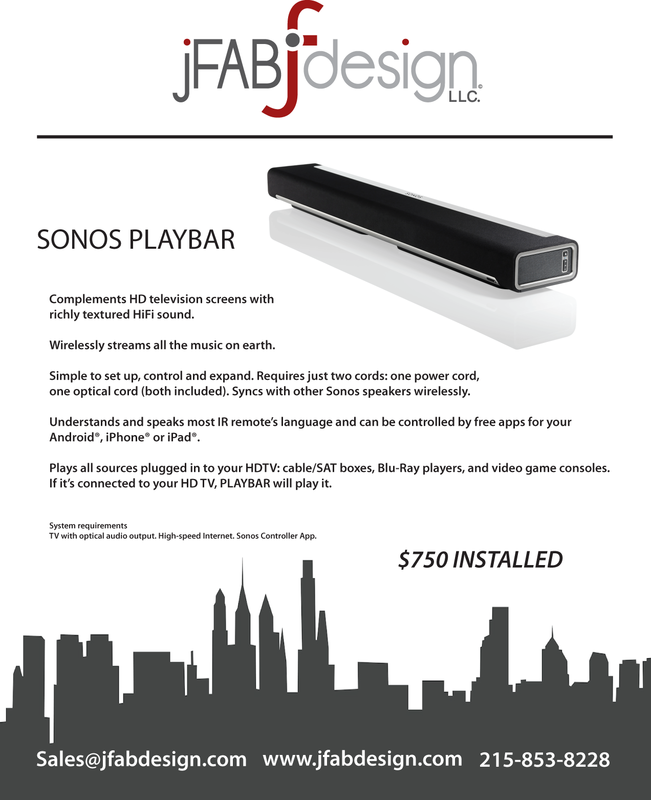 Check out our latest SONOS PLAYBAR promotion! JFab Design LLC has earned the home service industry’s coveted Angie’s List Super Service Award, reflecting an exemplary year of customer service to members of the local services marketplace and consumer review site in 2018. This achievement is particularly significant as Angie’s List experienced unprecedented member growth in 2018. More than 1.6 million consumers, many of whom were eager to quickly hire highly qualified service pros, joined Angie’s List after the company added a new, free membership tier. Even twenty years ago, home automation was an object of science fiction – not a reality. Save money on your electric bill by installing a lighting system designed to turn off the lights when you forget. Enjoying all of the latest movies with the lights down low and popcorn popping in the microwave isn’t just a routine; it’s a way of life.